Oh dear! People won’t follow you on Twitter? Here is why! I am no social media expert, although I have built up 45,000 plus Twitter followers to date. 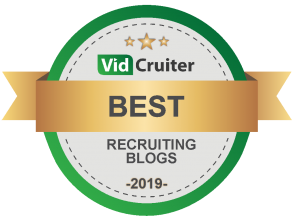 Truthfully, I only plunged into the social media world, including this blog, because I am a recruiter, and I ran a business that works in the digital and marketing arena. I felt I needed to know what the medium offered, how it worked, what I could contribute to the conversation, and how our clients and talent could benefit it from it.What better way to do that than diving right in! But I can tell you why I won’t follow you back on Twitter. I suppose I get 20-25 new followers a day on average. And when I get time – it might be a few days later – I will click on each of their Twitter profiles and see who they are and what they talk about. And, often, I will follow them back if I feel they will add to the conversation, and help me build my knowledge and reach. I imagine most people do the same. But often I won’t follow back. And just recently I was pondering why I choose not to press ‘follow’. My first thought was that the decision was simply intuitive. But when I went deeper, I realised that I do have a sort of mental check-list I flick through when deciding to follow, or not. Firstly I look at the picture or avatar of the new follower. No avatar is a big #fail, and personally I prefer a real picture of a real person, or maybe a clever icon or cartoon representing that person in a real way. Twitter is about engagement and conversation, and it’s so much easier for that to happen if you have an image of the person you are tweeting with. Then I read their most recent tweets. That is key. Lots of one-word Tweets or meaningless phrases and it’s a ‘no follow’. Loads of trivial stuff about how much beer was drunk last Friday, or what they like on toast in the morning, also means ‘no follow’. Self-promoting ads for products or services, or endless streams of automatically generated tweets and it’s a no-go too. I also tend not to follow people who tweet bad language, or who have a penchant for being routinely argumentative and mean-spirited in their comments. That is not what Twitter is about for me and certainly not what I want to see in my Twitter stream each day. Of course I read the bio. I am looking for some connection. In my case a recruiter, or a marketer, or someone in design. But any field can still get a follow from me, if the bio is interesting and well-written. No bio means almost certainly no follow. My next criteria is location. Not that I will eliminate anyone because of where they live! No, in fact the worldwide reach of Twitter is a major appeal. But if there is no location on the profile, it leaves a gap in my mental picture of who this is and so they are less interesting and less trusted. I am always disappointed if the new follower does not list their web address. A link to a blog or a company website obviously adds huge insight to who the person is. It adds credibility too, and it will certainly weigh heavily in my decision to follow you back or not. But it doesn’t end there. I usually have a quick look at your following/follower ratio. This is not a deal breaker, but in conjunction with other measures, such as Tweet content, can be a knock-out factor. For example, you are following 1,697 people and three are following you back. That is a problem. Oh and one final thing. If I follow you, and your first action is to auto DM me some garbage selling me something or telling to to like your Facebook page or whatever.. its the quickest “unfollow” in history. Trust me on that. Twitter, like a lot of technology, can waste lots of time. But I want to extract value out of my involvement on Twitter. So I am rigorous in screening who I follow, and I expect others will be with me too. It’s worth the effort because you end up with a Tweetdeck full of interesting relevant comment at best – and humorous, harmless chit-chat at worst. Great points you have made here, Greg. It's pretty much the same formula I use for new followers, except for one item. What if someone doesn't have a weblink or webpage that tells their story? In these cases, I always rely on the bio. I agree Greg. I get the feeling that some people see the fact that they have thousands of followers as some kind of badge of honour, whereas in reality it's just a list of people the majority of whom you don;t know and will never meet. I am flattered to be followed by the few hundred I have and I too follow a fair few, but when I get a notification that I have a new follower if it's someone who owns a pet shop in Iowa or a dating site in Bombay I tend not to reciprocate. I have recently even unfollowed a few people who I know but who just post about 'going for a walk' or 'feel like I am getting a cold' and nothing else. That was the main reason I came to Twitter relatively late. I thought that was all everyone did. I find when you have a bit of a following and people feel they know your style a bit you can get away with the occasional tweet like mine from the other day about how I missed a train because my 17 month old launched himself headfirst into a bath full of water - but I wouldn't make a habit of it. i hope he doesn't either the little nutter. Great article, Greg! I didn't originally follow these guidelines, but I'm starting to and finding it more rewarding. Thanks for putting it out there. I recently read that some use another analytic to measure Twitter success, the ratio of followers to listed, ie. divide followers by # lists and that indicates the value of your following- are you important enough to be included in their lists ( which presumably are more apt to be accessed and read than the all Tweets posted by all the people anyone is following at any given time. However, I have not been able to find any info about what constitutes an "effective" or "desirable" ratio. I calculated this for some "influencers" and the ratio runs about 30-35:1. Mine is 10:1. I wonder if this measurement varies by total number of followers and the ratio's meaning depends on the # of followers as well as the ratio itself. Also, what is a "good" ratio? I am interested in hearing from others on this topic. Thanks. Ariel from "My Life on the Dole"
Greg, totally agree! This is some of my same criteria for following. With all that said thanks for following me. Given your criteria, I feel honored that you chose to press that follow button! Hi Greg, Thanks for sharing this blog post, I really enjoyed reading it. I also realised that I have been sub-consciously applying a similar set of criteria to my decision to follow tweeps. Thanks for making me think! (Can be hard at this time of year! :-P) Cheers, Amber. Thanks so much for the great post Greg. Along the lines of what you're saying, my goal is to add value to those individuals I serve which in my case are my clients and do throw in the occassional personal tweet so people don't forget I'm a real person. People do business with people... I'd also like to add that I don't follow individuals who's 'following' numbers greatly outweigh those who are following them. Something about that makes me uncomfortable. Let's hear it for common sense! In the Real World, followers follow leaders, not other followers. Can you imagine how disordered our world would be if folk simply followed each other around at random? If you want to be "followed" then be a person that others would want to follow, either on Twitter or in the Real World. Interesting article for someone like me who is new to Twitter. I also look at how often they tweet. If it is every 5 minutes I am less likely to follow them. Don't be too critical on our follow ratio when we are still small. You have to follow people to get followed if you aren't a celeb. Interesting, but given the different ways in which people use Twitter, I do wonder whether we make judgments too quickly, based too simply on how we do it ourselves. I differ from you, for example - your Twitter usage is obviously biased towards your professional interests, with a bit of personal thrown in. I have my professional space (linkedin) and my personal space (facebook, where i interact only with real life friends). I've only recently started using Twitter, but given what's on there, it's my "little bit of everything" space. The people I follow represent a broad range of my interests, and likewise my tweets come from different places too. My bio's vague because I'm not pigeon-holing my twitter usage, and it doesn't include much personal information because of security issues, and because I don't want to have to avoid posting anything irreverant for fear it's not how I wish to present myself to clients or candidates should they look me up. I'm a mum, but while I don't follow other people on the basis that they're mums too (the whole mumsnet thing isn't for me), I don't see Twitter as a purely professional realm where I can just about "get away with the occasional tweet" that marks me out as such. I'm also an experienced recruiter, and as I'm interested in recruitment and the industry I recruit into, I'd like to read and share things relating to both. I'm interested in where I live and where I come from, and in subjects related to my academic qualifications. I have opinions about the news as well as my industry, and sometimes something completely random will make me laugh. My point isn't that you should follow me! It's that bios and the last few tweets don't tell you everything - there are no rules to which sides of yourself to present on Twitter, and in what proportion. I won't just follow anyone myself, but if in doubt I'd say follow for a few days, get the measure of what someone's about, and then decide whether you want to unfollow. But that's my point, Greg - there are many people that are NOT using it for brand building, and even "out of hours", those people might have interesting, business-related snippets to share, just because it's part of what makes them tick. Completely agree it can do more harm than good, which is why I keep myself reasonably anonymous (hey, my face is on there, I'm not completely incognito!) but I'm aware everything's in the public realm. Not that I go posting anything offensive! I am a follower, I don't feel like I have found a voice yet myself. But I too am very select in who I follow. I follow few and am followed by fewer. The information I want is about ideas, selective news, business, but also creative arts. I am never offended that someone's does not follow me, but am more surprised when I am followed when I say so little of any interest. Thanks Greg for this post. This was great. As always, your information is insightful and helpful. I am absolutely not an expert on Twitter. In fact, I would consider myself a novice at best. Following everyone just brings in the "noise" that I don't care to hear. I am finding that more and more apparent. I want to follow people who have information that I have something to learn from to make me a better recruiter. Do you feel that good tweets get lost in the mix because of the volume of the tweets that go out every second? I rarely tweet unless I find something important to say. Is that self defeating? Great points. I've posted in the past that you can learn a lot about a person by checking out who they follow. I've unfollowed people because of foul language. If you can't make your point in 130 letters or less without filthy language I have no time for you. I also follow regionally. For example, I once lived in Banff, and I want to know what's going on there, as I have a fondness for that area. I also look at the number of tweets - if it's in the tens of thousands, I won't follow since there just isn't that much useful info to share. It's still quality over quantity. It's not a popularity contest. Good article! Forget the hype. New Zealand Recruiters do not use Twitter!